Orlando Shooting – Sheer Brutality! About 50 people died in the mass shooting at a nightclub in Florida, United States of America. The Orlando shooting is being ranked as the deadliest mass shooting in America since 1982. 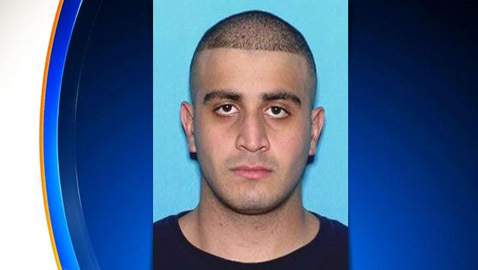 The shooter has been identified as Omar Mateen, an American citizen with Afghan parents. Obama termed the massacre as an “an act of terror and an act of hate.” The Islamic State group claimed responsibility for the Orlando shooting saying that it was carried out by “one of the soldiers of the caliphate”. According to the FBI officials, the killer (Omer Mateen) called 911 during the shooting and pledged with ISIS. However, they made it clear that they had not been in a position to confirm any “direct links” of the killer with ISIS. Omer’s father claimed that his son was not radicalized. However, he did reveal that Omer had gotten angry when he saw two men kissing some time ago. “That may have been the trigger in the shooting,” The father doubted. He also expressed grief that his son took it upon himself to attack the gay community. “It was up to God to punish homosexuals,” He said. It seems that Omer committed the massacre after having been irritated by homosexuality. It is a fact that homosexuality is strictly prohibited in Islam. But the question is that – does this give a license to a Muslim individual to punish the people involved in it? Here, we cannot ignore the fact that there are no legal restrictions in US, regarding homosexuality. Therefore, it would be sheer violation of laws of the land if one attempts to seize the rights of other people provided by the state. Of Course, there might be various things/activities which may have been restricted by other religions, but allowed in Islam. Then, what if a non-Muslim tries to act in the way like Omer Mateen did? Going against Muslims especially in an Islamic state like Pakistan? Would that be justified in anyway? Not at all! Frankly speaking, what Omer committed in the name of Islam in Florida was a total madness. In fact, he had become the victim of religious extremism. The people affected by this, start assuming that they are on the right path and thus have a right to even kill people, in the process of awarding punishment to them no matter whether they are Muslims or non-Muslims. If, from Omer’s point of view, it was justified to kill people involved in an un-Islamic activity, then why did his “brothers” (Taliban) kill thousands of Muslims in the Islamic Republic of Pakistan? What was the sin of the women who were just shopping at a market – but got killed in suicide attacks? Is praying to God prohibited? Why did the Taliban’s kill hundreds of people in mosques and shrines? Does any religion of the world permit killings of innocent children? Why did TTP kill more than 100 kids when they were studying in a school of Peshawar? Can any reference from the Holy Quran be quoted as a justification for this brutality? All of this proves that the religious extremism is a sickness which can blind people completely, due to which they are unable to think rationally. That is the reason why the radicalized people do not hesitate to commit ruthlessness. Truly speaking, the massacres like Orlando are the point of concerns – especially for Muslims, that some misled people are trying to represent them and are, in this way, distorting the image of Islam all over the world. Therefore, Muslim priests and scholars need to come forward in order to stop this madness at the earliest. They should tell the world that killing people like this is not Jehad at all. Rather, it is the continuous struggle against all sorts of evils including the prevailing radicalization in the name of Islam. Any delay in this will not only bring about more damages to the image of Islam, but would also worsen the situation for Muslims all over the world. Akbar Hussain is professionally an Accountant, but a keen observer of the social as well as the political happenings in the country. Does Honor Killing Really Make You Honorable? Pakistan Muslim League Nawaz Or Nisar ?